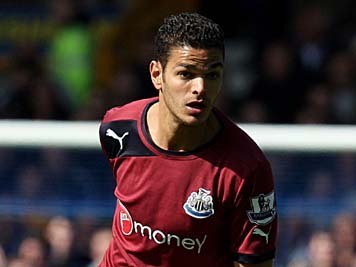 The groans when Ben Arfa was taken off with twenty minutes to go said it all, fans understood that it was because he was just back from injury but they also knew his departure took away the best chance of Newcastle getting something out of this match. Some very average defending had led to Fulham’s opener by Sidwell via a Williamson deflection but Ben Arfa was always dangerous even though his rustiness a few times meant he lost possession. His wonder strike levelled things though, with a hint of a deflection. The winner came from a set-piece as Duff’s header was put on the spot for Rodallega to give Krul no chance. Newcastle deserved a point but as the only team in the Premier League to still not score from a set-piece, it was a reminder of one of the many weaknesses that are undermining the chance of reclaiming this season. The new Christmas issue of The Mag available now in all Tyneside newsagents, or buy a single copy and subscriptions in our online shop, or get a Gift Subscription with free personalised letter for the person you love (or ask for one for yourself! ).